The joint working group of the European Parliament Bureau and the European Commission has finalised its work on the revision of the EU Transparency Register. The main outcome is an understanding among the working group members that the register should become mandatory, even if their conclusion are that it is not legally possible at the present time. 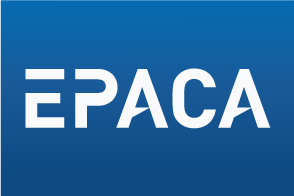 EPACA – European Public Affairs Consultancies’ Association – is the representative trade body for public affairs consultancies working with EU institutions. It was launched in January 2005, following a process of consultation among all signatories of a professional Code of Conduct. The Code had been maintained and updated since by our members, and is the basis for all such codes in the EU affairs marketplace. The association establishes formal self-regulatory arrangements, including a professional practices panel for disciplinary hearings. It currently consists of 42 companies with over 600 staff, and represents a high proportion of the professional EU Public Affairs services providers. EPACA members have elected a Management Committee of 11 members.